I do know that this was created by a chef named Glynn Purnell for the show Great British Menu in 2008. 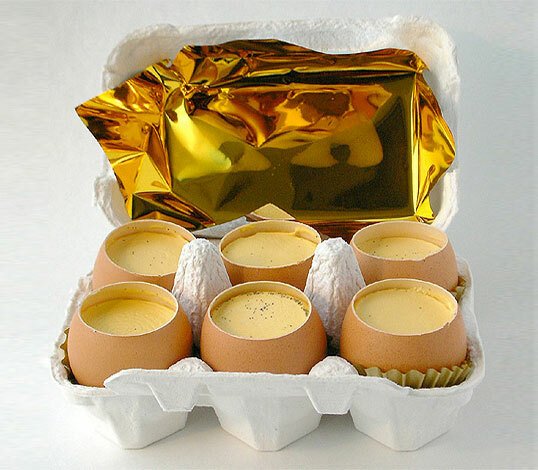 He made fresh custard and piped it into empty eggshells just like this. He won the dessert round for this dish.